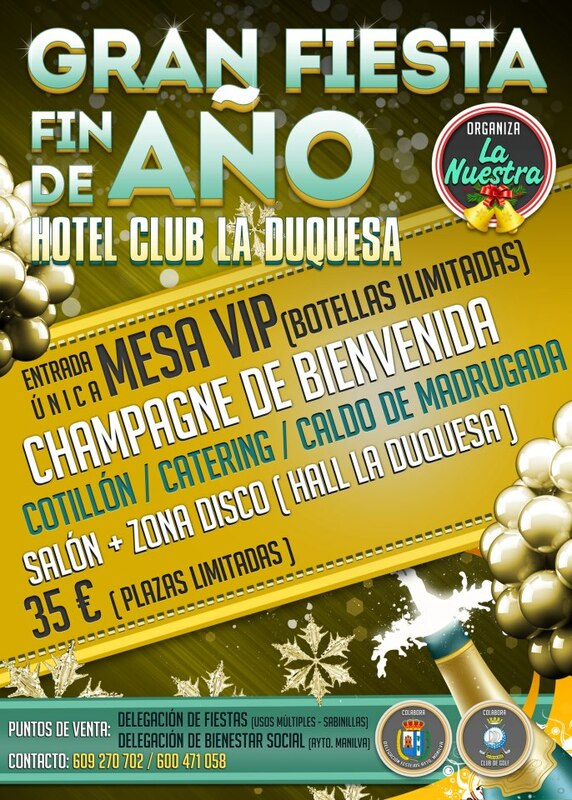 Manilva council’s delegation of fiestas has organised a grand New Year’s Eve party which is to be held in the Duquesa Golf Hotel. The event will start at 00.30 – how can you have a New year’s eve party starting after midnight….???. 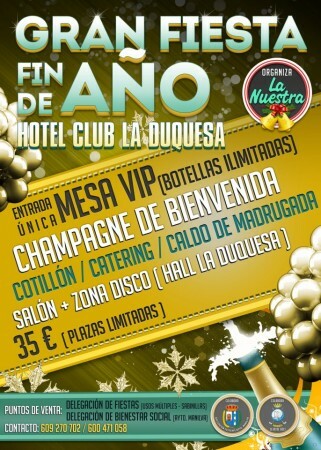 Anyway, guests can celebrate the New Year with champagne, food buffet and “caldo de madrugada” – basically a thick soup / stew served in the early hours of the morning..
Tickets are €35.00 per person and include unlimited drinks, in the reception, as well as the ballroom and disco. Places are limited so book early… tickets are available from the delegación de Fiestas, in the edificio de Usos Múltiples in Sabinillas or by calling 609270702 or 600471058.